Unsurprisingly, the top annoyance for the UK motorist is a traffic jam. This finding was part of IAM RoadSmart’s Safety Culture Survey, which was published on Thursday last week. It is the fourth year, that the UK’s biggest road safety charity, asked more than 2,000 drivers about their worries, fears and attitudes. 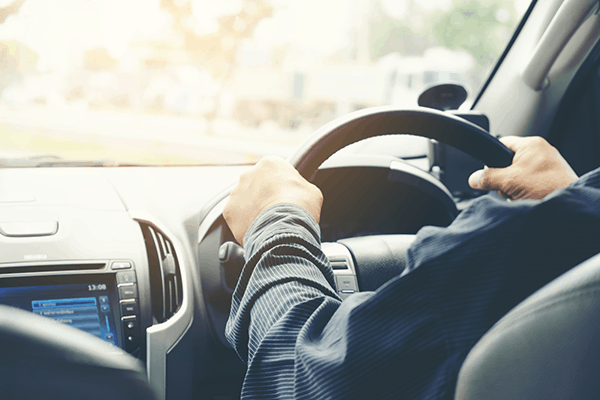 In the past, two years safety concerns around other drivers using hand-held mobile phones topped the list – but now traffic congestion is the top concern. Congestion becomes a very real worry when looking at the road usage landscape from a business perspective. Hire car organisation, Europcar launched a new white paper, exploring the mobility challenges facing UK business. In Charting a Safe Path Through the Minefield of Challenges Facing UK Businesses, the paper reveals a mood of caution and mild pessimism amongst UK businesses. Europcar conducted the research in response to the increasing challenges facing businesses and decision makers when it comes to keeping workers on the road and productive. More than half of the 500 businesses surveyed by Europcar said they generate their revenue through monthly contracts, so unsurprisingly, economic growth and cash flow were found to be the top two concerns for this sample of firms. With Christmas coming, and the delivery of online retailing after Black Friday increasing, this will mean our roads are about to get even busier. 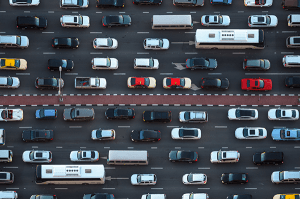 Congestion becomes a critical business issue according to research from the Mercedes-Benz Vans Business Barometer survey. Delivery drivers say that, on average, 16% of their working day is lost due to congestion, which means, based on a (very conservative) 8 hour working day this equates to 1 hour 17 minutes a day, or more than 6 hours across a typical working week, adding up to 37 working days a year lost due to congestion for the average delivery driver. Greater London reaffirms its place at the top of the ‘congestion league’, with respondents saying 18% of their working day is lost to congestion – higher than anywhere else in the UK. The research, undertaken amongst 2,000 van owners and operators, also highlights that congestion is now the second biggest ‘barrier to growth’, with 31% believing this will be a barrier to growth in the coming year, rising to 38% amongst fleet managers, and second only to rising fuel costs (57%). IAM RoadSmart’s head of driving and riding standards, Richard Gladman, is all about how you can save fuel. Here he provides some top congestion-driving tips. Try to keep your driving smooth. Gentle acceleration and using the highest safe gear will use less fuel. Ease off the accelerator early for traffic lights if they are red – why hurry up to wait? For the moment, whilst the government navigates through its own Brexit congestion, road users and business will have to await any further constructive news about a future without traffic jams on our roads. At My Fleet Solutions, we understand that managing a commercial fleet is more challenging than ever. We offer the very best for fleets when it comes to vehicle servicing, maintenance and repairs, on all makes and models. My Fleet Solutions can take the sting out of automotive costs, with 60% typically saved on SMR compared to franchise dealers. The costings are transparent, based upon thorough working knowledge and up-to-date automotive data, plus all genuine parts and repairs are protected under warranty. The post The fuelish costs of traffic jams appeared first on FCS Media.